Pictured: Mert Moral Image Credit: Jonathan Cohen. Pictured: Mert Moral Photography: Jonathan Cohen. 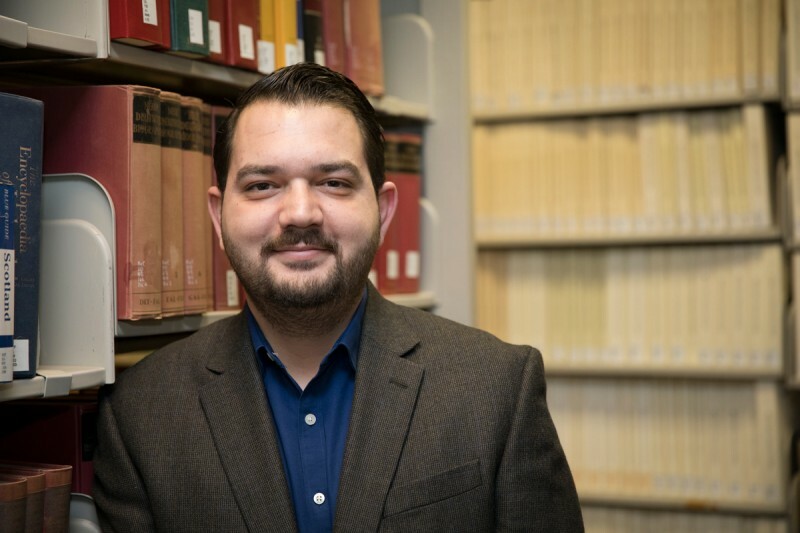 “When I’m teaching, I’m trying to make my students ask questions that touch upon their lives,” says the fifth-year doctoral candidate who specializes in political science with a focus on elections, electoral behavior and political participation. Originally from Izmir, Turkey, Moral received his bachelor’s degree in political science and his first master’s degree in International political economy from Turkish universities before being encouraged by his advisor to apply to schools in the United States. Since starting at Binghamton University, Moral has earned his second master’s degree in comparative politics and world politics and he will be finished with his doctorate by spring of 2017. When Moral applied to Binghamton, he did not expect to study voter behavior. His letter of intent says he was planning to study political economy, but his advisor from his first master’s thesis inspired him to change his course. Although he was accepted to several institutions in the United States, Moral was drawn to Binghamton University because of the unique research style utilized within the Political Science Department. His office shows how he values numbers in his research. On the wall above his desk hangs a white board covered in equations printed in green ink that he had drawn out to help answer students’ questions during office hours. As Moral completes his dissertation, he is beginning to think about his future as a professor. In the fall semester he taught Elections and Electoral Behavior and in the winter term he taught American Polarization. Besides the coursework written on the syllabus, Moral wants to teach solid writing and critical thinking skills. “After taking my class, my students start to ask really critical questions, touching upon both theory and real life, which is another goal of mine,” he says. Moral is now interviewing at other institutions for an assistant professor position. He says he wants to stay in the United States, but is not used to living in the same city for as long as he has lived in Binghamton. The political scene in the United States has provided a very interesting backdrop for Moral to study voter behavior and party polarization. As tensions surrounding the election rose, he says that what Americans saw as a crisis was actually quite normal. He says the political problems Americans are facing will help incite a conversation that could strengthen the democracy.